Dairy Queen's Blizzard of the Month for June 2014 is the same as June of last year: the S'mores Blizzard. The S'mores Blizzard features mini marshmallow-filled chocolate bars, toasted graham topping and Honey Maid graham cracker pieces, and marshmallow topping blended into vanilla soft serve. In addition to the standard cup, you can also get it in a waffle cone or have it made into a Royal Shake. 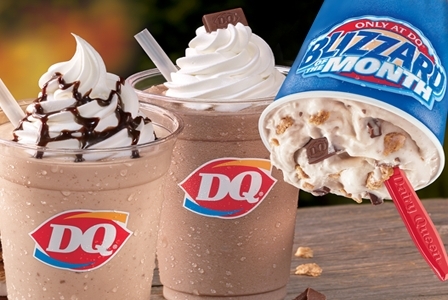 For special occasions, the S'mores Blizzard also available as part of a Blizzard Cake.